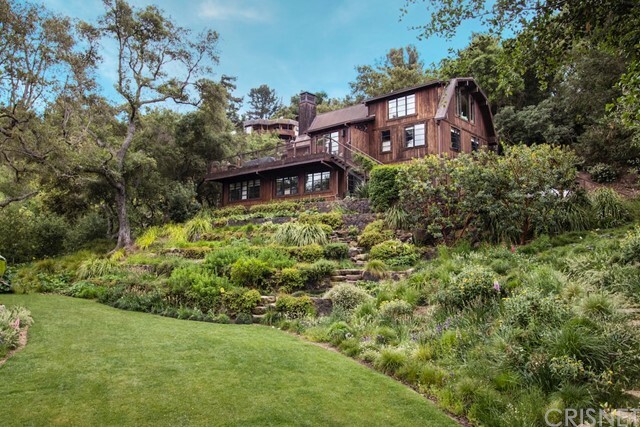 All Topanga homes currently listed for sale in Topanga as of 04/25/2019 are shown below. You can change the search criteria at any time by pressing the 'Change Search' button below. If you have any questions or you would like more information about any Topanga homes for sale or other Topanga real estate, please contact us and one of our knowledgeable Topanga REALTORS® would be pleased to assist you. "Stunning 16 Acre Estate situated between Malibu and Calabasas, surrounded by rolling hills of the Topanga State Park. This 8 bedroom, 11 bathroom private compound comes complete with a guest wing and estate managers quarters, orchards, N/S Tennis court, 65 pool with hot tub, gazebos and an outdoor loggia w fireplace. The home boasts luxurious finishings throughout, an extensive games room with remote blackout blinds for the retractable projection screen, gym room, and integrated smart home technology. Stunning views from every bedroom, Master bedroom includes 2 separate bathrooms and walk-in closets. Wet bar, wine closet and chef s kitchen make this a true entertainer s home. Yard is large enough for a football or soccer match and can accommodate multiple helicopters for executive travel. Home and landscaping costs greatly offset by solar array and water well. Separate 7 acre adjacent lot available for tandem purchase. Both parcels zoned for Horses. Water well supplies current landscaping entirely, and has capacity for a vineyard if desired. Room to land your helicopter! Complete luxury and absolute privacy. Perfectly situated - 15 minutes from the PCH and 10 minutes to the Topanga Village. Calabasas Commons is just 12 minutes away." "A modern sanctuary nestled within a sea of trees and surrounded by the staggering natural beauty of endless manicured grounds, a running stream and blissful quietness. Rustic minimalist design with floor to ceiling windows that let the light flood the interior while seamlessly blending the internal space with the tranquility of the outdoor surroundings. The open floor plan and high ceilings enhance the voluminous feeling and create a space in this beautiful home in the Topanga Hills, the property includes 2 detached homes on the same lot the main home features 4 bedrooms and 4 bathrooms and the additional detached home includes 2 bedrooms, 2 bathrooms a office and a gym the compound also includes a detached sauna. Located minutes away from the beach. A true place to escape and call home !" "Overlooking Point Dume, this is a one of a kind estate offering a secluded, gated setting with incomparable views of the lush green canyons and the Pacific Ocean. No expense or amenity has been spared in the superior construction of this approximately 4 year old masterpiece. From the extensive foundation work to the exquisite presentation of every room, the home was designed to showcase the spectacular views. Built to live your best life, the technologically advanced systems can be operated from anywhere via computer or phone. Remote viewing is accessed through the 8 security cameras. Ecologically focused American made solar panels provide power for most systems with minimal utility bills. Sustainable bamboo was used for cabinetry. A tiered garden offers the ability to grow veggies or flowers for cutting year round. The chef's kitchen is top of the line. New outdoor kitchen with BBQ, Firepit and water features. Master Ensuite w/fireplace. Spectacular landscaping & sprinklers." "Spacious Family Home on 4 very usable acres in the PO Tract, adjacent to the State Park. No need to drive all the way to Ojai or Santa Barbara to escape... Live the dream away from it all, with only a 15 minute commute to Santa Monica/Malibu or Woodland Hills/Calabasas. Celebrate life's most precious moments in this Lovingly Restored and Beautifully Upgraded, Spacious 5 Bedroom, 3 1/2 Bath home. Over 6000 sq ft of Fabulous living space. Expansive, yet Intimate and Warmly Inviting. Large Gourmet Eat-In Kitchen w/ 2 Walk-In Pantries and Wine Storage. Separate Dining, Living and Family Rooms + Large Entertaining Spaces, Indoors and Out with Unobstructed Canyon Views all the way to Catalina. Wired for sound, let the music move you as you entertain your guests at the Resort like Pool. 3 room Master Suite + 4 additional bedrooms. 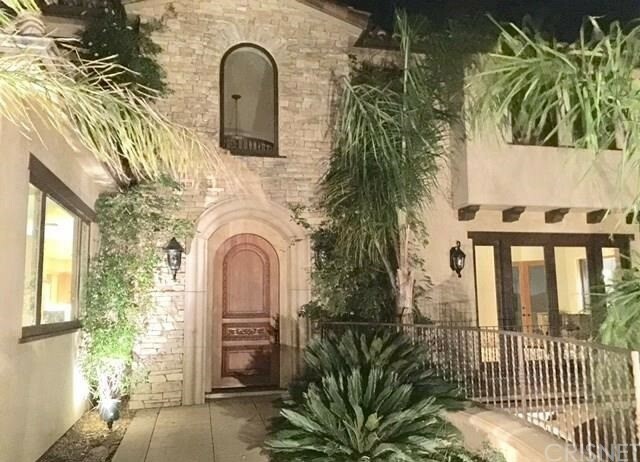 Very Private, Completely Fenced and Gated w/ Tennis Court & Room for Horses. Two detached outbuildings for the man-cave and/or she-shed of your dreams.."
"Here the Topanga Life arises from 38 acres upon which all aspects of nature create an environment of balance, purity, & health only available in few precious places and nowhere else near Los Angeles. Beyond organic, the certified Biodynamic land itself is alive as one holistic body supporting hundreds of varieties of life giving plants, foods, and local wildlife: a labor of love decades in becoming and a genesis point for much of what is understood in the biodynamic community today. Never has there been an opportunity of this type to live within such a life-giving environment that includes a beautiful Mediterranean home and pool all surrounded by 360 degree views from the Pacific Ocean to ancient rock formations. Situated on 4 separate parcels to expand further into. Once on the land all else fades away, into a world unto itself with everything needed in life's simplest form, a virtual escape from all else yet 10 minutes to the rest of it if you must go: refuge, grow, & flourish here"
"An architectural masterpiece in Topanga's serene Mesa neighborhood. Off the grid living without sacrificing style. Atop a 5-plus-acre promontory, this contemporary retreat allows for living in quiet seclusion & complete sustainability with drought tolerant landscaping and whole-house solar & water filtration systems, which include a 10,000-gallon water storage tank and self-generating water softening system. The open floor plan living spaces feature artisan mosaic floors, walnut and stone chef's kitchen blending in with the retreat-like atmosphere of the outdoors. The retractable glass walls create an indoor/outdoor flow with views of the solar heated salt water pool and magestic mountain and canyon views. The serene master suite boasts a sitting area and opens to a private patio with breathtaking vistas. The lower level features a bedroom suite with living room and lanai. Two immense garages with cathedral ceilings offer space for an art gallery or private 14-car collection." "The journey to Topanga's Iconic Powderhorn Ranch begins traveling through the ancient tree tunnels of coastal oaks lining the private road leading to the bucolic 5 acre sanctuary surrounded only by distant views and 1000's of acres of bordering parkland. The stunning main house by Kanner Architects (2011) is surrounded with sliding glass walls under the open beamed ceilings that open to scenery in all directions. A gourmet kitchen, deluxe master suite, and guest bedrooms are all finished with exquisite detail, materials, & craftsmanship. All main areas are bathed in natural light and lead out to massive decks, huge grassy lawns, and the pool area with fire pit and exotic wood sundecks. Venture further onto the grounds beyond a horse arena to the detached casita with wood burning stove and office waiting to serve as a studio for art, music, or your practice. Return to the main house passing private terraces that overlook the Backbone Trail, rock formations, wheat fields, and grasslands." "Stunning views can be enjoyed everywhere from this one of a kind, private mountain top retreat. High soaring ceilings and sliders throughout provide for an abundance of natural light and perfect indoor/outdoor living. Entirely reimagined with the best finishes and design, this exquisite compound can be your private paradise or an entertainer's dream. All four perfectly styled bedrooms are en suite, with two being Master Bedrooms. The main Master Bedroom also contains a steam shower, whirlpool tub and a large walk-in closet. Enjoy the surround sound system from your large gourmet Chef's kitchen adorned with the best appliances and just moments from your own private garden. Outside you will find and abundance of patio space whether by the saltwater lap pool, spa or fire pit. As you traverse the 3 acres of immaculately landscaped terrain, you will also find a gated playground, a full sized tennis court and private groomed hiking trails that lead to the best views in Los Angeles." "High atop Topanga Canyon, in an exclusive enclave of seven similarly impressive homes sits this magnificent 5200+ SF Mediterranean custom with five bedrooms, four and a half bathrooms, gym, family room, media room, formal dining and living rooms. The home is perched on the highest part of the gently sloping 2.5 (approx.) acre lot behind a private gate to maximize the ocean, Catalina Island and Point Dume views from many rooms throughout the home. The split-level floor plan features an impressive two-story entry with exposed beams multiple fireplaces, balconies and patios. The master bedroom is situated in its own wing of the home and has a spacious bathroom with his and hers sinks, a soaking tub with an amazing view and large walk-in closet. The resort-style property has a heated pool and spa, expansive landscaping with mature trees and native landscaping, a separate game room with kitchen (approx. 400 square feet), its own water well and an expansive motor court and three-car garage. Exit the property and head in any direction for miles of spectacular hiking trails to enjoy. Malibu school district." "This completely remodeled contemporary single story 3 bedroom home sits peacefully on almost 4 usable acres at the end of a long private drive on Santa Maria Rd. It really does have it all: Impressive 12ft entry w/ custom doors & windows throughout. This property embodies the ideal in California living, w/ great indoor/outdoor flow. Fleetwood doors reveal expansive views & beckon you outside to enjoy multiple entertaining areas: fire pit, BBQ w/ bar, Pool w/ cabana & 4 stall horse facilities. Inside there is a chef's kitchen w/ 36 side by side sub zeros & 6 burner Viking cooktop & double ovens & custom cabinetry. Laundry room w/ direct access to outside shower. Studio. 2 bed guest house has it's own driveway & big flat yard, allowing guests to share your relaxing Topanga lifestyle. City water & plentiful well make irrigating the gorgeous drought tolerant landscaping economical all year. This home also has direct access to dirt Mulholland only 1/2 mile away." "Custom 4BDRm, 5 Bth, Tuscan-style estate home on 7.8 acres with breathtaking mountain, canyon, ocean and city lights views. Complete privacy from the top of Topanga. Lots of natural light with wall-to-wall windows, teak doors, travertine stone floors, 3 fireplaces, huge gourmet kitchen and living room. Views and terraces from every room. Soaring ceilings and center staircase. This Mediterranean showplace triggers an emotional pull to make it your own. Prominently displayed on a knoll unveiling magical views of lush foliage, mountains, sunsets & the ocean. We are proud to present this virtually brand new masterpiece for your pleasure. Smooth stucco & distinctive tile accents set the tone. Your entry unleashes a whirlwind of excitement as you explore all this has to offer. Spacious Family room, Living room & Formal Dining are enhanced by a striking fireplaces. Dream kitchen offers a magnificent center-island. Downstairs Bed & bath are ideal for guests. Upstairs, all bedrooms feature beautiful baths. Your master suite will become a preferred tranquil escape. Slip out to the balcony with a good book & glass of vino & allow the spectacular backdrop. Sensational bath places the tub in just the right locale to sooth your soul while gazing out to natural beauty. Massive rear grounds offer a fireside relaxation & cook center. Landscaped with beautiful grass lawn. Lots of flat usable land horses, pool or tennis court." "The Day Dream House is a gorgeous Cape Cod style home and a two story guest house surrounded by park like grounds with mature fruit trees, large rolling lawns, and fragrant colorful gardens. The main residence is 4 bedroom, 3 baths with a sunny bonus room and features open vaulted ceilings, a spacious country kitchen, and a living room with French doors and a custom stone fireplace. The romantic master suite features a large sitting area, generous closets, and a newly renovated luxurious granite bath. The two story detached guest house features two bedrooms and a bath with an upstairs great room and entertainment deck with hot tub and views overlooking the grounds. Walking distance to the State Park hiking trails. Very private and serene. 48 hours notice to show." "Sophisticated Mediterranean estate stands above climate perfect Fernwood framed by Jetliner views from Downtown L.A. out to Topanga State Park. Enter into bright and voluminous living spaces finished in hardwood and iron including the living room with fireplace and 24 ft ceilings and dining room or lounge. The great room with fireplace is open to informal dining and gourmet kitchen, which opens to a flat grassy lawn with wide open views. Upstairs the oversized master suite has a fireplace ff It's own, Walls of windows, and a luxurious oversized master bath and walk-In closet. 2 secondary bedrooms share a well appointed bathroom with double vanities and tub. They say everybody loves Fernwood, and for good reason: It's the cool ocean breeze and proximity to neighborhood hiking trails. This home includes a 2 car garage and it's location affords attendance to Malibu schools as an option. This Medley Lane Estate combines location with a contemporary flair rarely seen at this price poi"
"Topanga Estate, beautifully appointed and intricately designed on a lush, oversized lot overlooking the mountains. Comprised of luxurious stone, Spanish tile accents, wood floors & custom cabinetry the inside of the home creates a cozy, yet ultra chic atmosphere with vaulted ceilings, fireplaces in the dining and living rooms, view windows in the kitchen and both soaking tub and steam shower in the Master bathroom. The textures and the mix of materials inside seamlessly connect the indoor and outdoor areas into one flow. Placed within a brick courtyard the outside area features fountains, gardens, multiple lounge areas, and a dining gazebo for hosting fabulous dinner parties. This entertainer's dream home is a true get-a-way from the city, yet easy to get to. Guests will have ample parking entering from Fernwood & Cave Way, it offers space for 8 off street parking in addition to ample spaces right outside the gate @ the Fernwood entrance. Come see the magic for yourself." "In close proximity to the vibrant eclectic commercial center of Topanga, up a meandering long private drive behind gates, there is a compound comprised of several structures best described as rustic chic in style. Included is the main house, a self contained guest house plus several additional ancillary structures that can be used for a variety of purposes. The main residence features California Romantic period elements constructed with masonry walls, a signature red tile roof, rich dark hard wooden floors, ornate iron work and a high pitched wooden paneled ceiling providing a spacious open, yet cozy, loft environment. The main floor provides the cooks kitchen open to the formal/informal entertaining areas that are enhanced by the original wood burning fireplace plus two bedrooms including the master suite. The lower level offers an art studio, a tasteful bath and sleeping loft. Every window and sliding glass door frames the mesmerizing views of the Santa Monica mountains and beyond." "Discover Creekside Lodge nestled in the heart of Topanga but tucked away at the end of a long, leafy driveway. This 2 acre property has a huge expanse of flat lawn that sweeps away to Topanga Creek. Mature fruit trees, rose, cactus & veggie gardens encircle the Bob Bates inspired woodsy home & create the feel of a secret mountain hideaway. This country home is spacious yet inviting, built of cedar w/ high open-beam ceilings & light spilling in from numerous windows. The oversized fireplace that anchors the home in the large living room was constructed with rocks from the creek. The library w/ floor to ceiling bookshelves has its own fireplace & tall windows looking out to the grounds. Kitchen has a large island w/ original tile, a breakfast nook, & a Franklin fireplace. The formal dining room features a massive stained glass window. There are 4 bedrooms, 2 on each floor, a bonus nursery, & laundry room. The large garage is converted to a rec room. 5 decks, including 1 w/ hot tub." 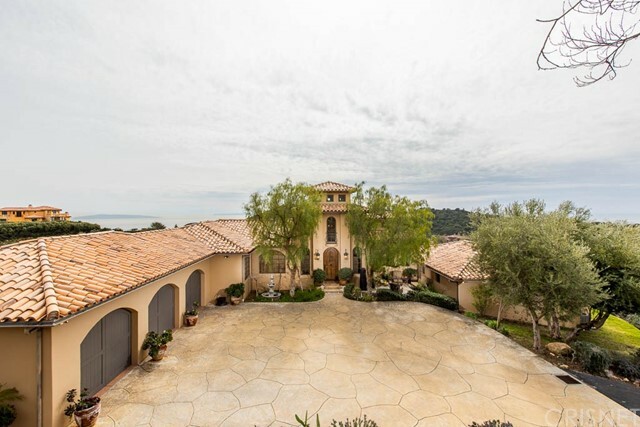 "Stunning ocean views are waiting to be enjoyed in this lovely Topanga home! Open and bright floor plan with tons of natural light, beautiful views from main rooms and the master suite. Warm hardwood floors, upgraded chef's kitchen, lovely solarium for dining. Master suite with bath that has been recently updated, secluded deck and great closet space. Huge laundry room could also serve as an office or in house gym. Guest unit downstairs with exclusive entrance. Great home for entertaining with wrap around decks, tons of outdoor space, sparkling pool and spa. Welcome home to paradise in the city!" "Available for the first time in 29 years! At the end of a beautiful bridge spanning a seasonal creek lies this quiet Topanga Craftsman getaway. The 2-bedroom, 2167 sq. ft. home is a showcase for how environmentally-sensitive design can be both functional and beautiful. Offering an incredible indoor/outdoor feel by way of Redwood and Douglas Fir custom windows and doors to mirror the fine works of Greene & Greene and a private patio overlooking the creek surrounded by California Live Oaks and Sycamore trees. Entering the living room, dyed concrete floors connect you to the large kitchen, outfitted in rich, locally crafted Honduras Mahogany cabinetry, effortlessly opening to a sunlit dining area inviting the lush landscape into the house. Upstairs you will find the spacious Master suite with 17 ft. vaulted ceilings, bringing indoors the serenity of Topanga. This celebrity home was featured on Home and Garden television and in a number of home design magazines. A rare find!" "Experience the Zen of living in Topanga within this Fernwood retreat. This artfully curated home features the craftsmanship of arched doorways fitted custom doors, view filled rooms and a connection to the outdoors, with four bedrooms and three baths. Spacious master suite has adjacent sitting room, skylights, walk through closet, soaking tub and shower- all with plenty of windows, and no need for curtains. Living room has a wall of windows, an antique wood burning stove, custom lighting, and opens to a large entertainment deck looking over the Santa Monica Mountains. Kitchen combines modern features and nature with Bosch appliances,120 bottle wine fridge, garden window and live edge breakfast bar. Guest suite opens to deck and downstairs two Jack and Jill bedrooms access the huge grassy yard. Abundant fruit trees adorn nearly half acre of landscaped gated yard, complete with gravel paths, meditation spots, lawns, trees and sun. Four zones of heat & air, separate laundry room." "Luxury mountaintop 2015 custom home offers privacy & space w/270 deg of stunning views for miles of the Santa Monica Mountains, all Framed W/ Sunset & city light views that emanate from every room that is surrounded by landscaping & Oak trees. Enjoy a gourmet kitchen & the grand entrance that opens to a soaring ceiling of the living room & formal dining which directly flows outside to a lovely tiled deck for entertaining or to a more familiar gatherings over looking the views & transitioning to family room upstairs which is perfect for your yoga/exercise and a great place to enjoy a movie with family/friends featuring a fireplace, sitting area and deck over looking remarkable views as well as your marvelous master suite with walk-in closet, own deck, soaking jacuzzi tub & shower w/views all from within your own private lagoon. Easy access to Warner Center, 101 FWY, Malibu, westside, PCH, Topanga state park & trails a mile away, all Minutes From Some Of The Best Schools, Restaurants, And Services L.A. has to offer, Less than 3/4 of a Mile From Calabasas. 4 + 5 baths, 3400 SF residence is filled with natural streaming light and features high end appliances, recess lights, hardwood floors, cat-5 data, celling fans, insulated 6 walls and floors thru out, front yard offering a panoramic view, a sparkling jacuzzi/pool can be installed in backyard, or front yard, BBQ/fire pit areas, all perfect for outdoor entertaining! epoxy floors in garage & 400 amp main power & much more." "Elegant modern architectural designed by Jay Vanos. A welcoming garden to the front door, Gleaming hardwood floors, living room fireplace, sliding glass doors lead to numerous decks to enjoy the breeze. Over-sized windows capture stunning views towards seasonal snow-covered mountains. Voluminous ceilings.Handsome custom wood cabinets with stainless hardware and built-ins. Bedrooms have en-suite bathrooms. Sun drenched reading area in master bedroom. Master bedroom suite with high ceilings, Sliding doors lead to more decks and big views. Master bathroom features dual sink vanity area, soaking tub , large separate shower, 2 huge walk in closets. Media room between two lower bedrooms.Douglas fir trim throughout the house. Wood and glass. Approx 1000 sf of free space in the basement. Located on a very quiet street close to hiking trails, 8 mins to great shopping & restaurants. Additional parking for guests or convert it into more garden or play area." "Mediteranean home with contemporary design set on an acre surrounded by nature! Topanga Canyon living just minutes to Calabasas - over 2600 sq ft & surrounded by nature, fruit trees and mountain views this two-story w/newly updated kitchen includes stainless steel appliances, quartz countertops and elegant cabinetry with tons of storage! This home features an open floor plan with double sided fireplace connecting dining to living room. Spectacular views abound from every room, beckoning you to enjoy the spacious decks and patios throughout, perfect setting for privacy or for entertaining guests. Relax to the tranquil sounds of a nearby waterfall. Upstairs you will find a spacious master suite with a romantic fireplace, en-suite bath with large spa tub and a walk in closet. Hurry! Make this move in ready home yours!" "Stunning Architectural flooded with light by abundant/oversize windows and doors. Wonderful home in tranquil Old Topanga. Beautiful cross-canyon views from decks, living room, master & kitchen. Soaring high ceilings compliment gleaming refinished maples floors. Spacious built-ins and maple cabinetry throughout. Media room with cozy fireplace flows into kitchen that offers double ovens, stainless built-ins, a double door pantry and utility closet, built-in cook's office, trash compactor, unique composite counter tops, center island, loads of cabinets & room for eat-in table. New, super plush carpets in bedrooms & halls. Central Heat & Air. Entertainment decks and beautiful landscaping through sliding doors. Plenty of land for Horses, or orchard and gardens. Huge easy access 2 car garage with storage loft and work/tool alcove. Adjacent to 5 acres of land for sale (APN #4436-003-030). No Headache House! Charming mountain community great neighborhood. About 12 minutes to 101 & Beach." "Endless canyon views from this recently renovated Cape Cod style home located at the end of a private Topanga street on approx. 6/10 acre. The great room has high vaulted ceilings and walls of glass framing beautiful canyon and state park views. Gourmet kitchen features giant center island, travertine floors, granite counter tops, custom Knotty Alder cabinetry, and stainless appliances. Large pantry and laundry room. All three bedrooms have wonderful canyon views. Bathroom features custom shower with views, and double sinks with designer finishes. Recent electrical, plumbing, and heating upgrades. Extra parking in expanded driveway. Large trees, mature landscaping, and a mostly flat yard. Close to shops, schools, hiking trails, and the beach."